When your little angel is soundly asleep, you can enjoy some ‘Mummy Me Time’ and what better way to spend it than in a lovely warm bath! Add a lovely candle and some bath oil, then your bath turns into your very own mini spa experience. After a hectic day at work and with your children, winding down before bed is important so you can enjoy a relaxing sleep. 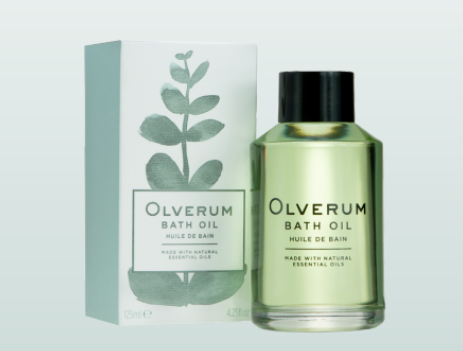 Olverum Bath Oil smells absolutely divine, you only need half a capful to add to a warm bath and you can enjoy a truly relaxing and uplifting experience for your body and mind. This is magic is a bottle, as you enjoy the aromatic smell, which includes lavender, eucalyptus, lemon, and rosemary, you can’t help but feel like a new woman. Not only does the oil help release tension and help you wind down for the evening after use your skin feels fresh, radiant and soft. This is a must buy for a relaxing and luxurious bath, we can’t praise this product enough. As you need so little, it is also excellent value for money and after my beautiful bath, I drifted off into a much needed lovely sleep. They state ‘the unique and luxurious aromatic blend of essential oils which combine to ease stress and relax tension in both mind and body, bringing you back to your complete and natural self’ and we couldn’t agree more! This is magic is a bottle, as you enjoy the aromatic smell, which includes lavender, eucalyptus, lemon, and rosemary, you can’t help but feel like a new woman. A bath isn’t as special without a candle, so to help relax you try the Wax Lyrical Silent Night Lavender & Chamomile Fragranced Candle. The scent is subtle so you can enjoy a light fragrance in the air that adds to the luxurious bath experience and isn’t at all overpowering. This candle boasts specially chosen essential oils proven to enhance relaxation that will make you feel completely restful as the smell of this beautifully fragranced candle drifts through the air. You can burn this beautiful candle before bedtime, but enjoying my bath and burning this luscious candle was a pure delight. 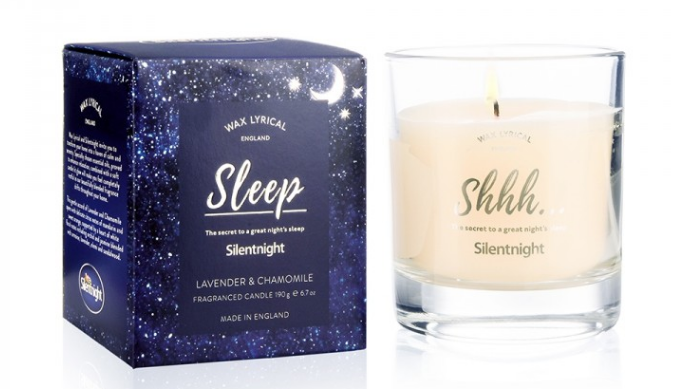 A bath isn’t as special without a candle, so to help relax you try the Wax Lyrical Silent Night Lavender & Chamomile Fragranced Candle.